The argument raises a number of interesting questions, and is worth following. Winkelman’s position consists of two intertwined elements, one descriptive and one historical. The descriptive part begins from the concept that the human brain is modular — that it is a large collection of small modules that have evolved to perform specific functions. These modules can be quite specialized. Modules have been proposed for such functions as distinguishing living from nonliving things, identifying faces, understanding motives, throwing accurately, attaching emotions to faces, and recognizing causal relationships. Tools such as Functional Magnetic Resonance Imaging may even be able to locate these modules in particular areas in the brain. Winkelman maintains that shamanic techniques for inducing transpersonal consciousness override this modularity through what he calls integrative brain processes. In this integrative mode of consciousness, he says, ordinarily separate modules can interact, so that the brain processes information through several modules at once, in a way that is different from other states of consciousness. Synesthesia — seeing sounds or smelling colors, for example — is such a cross-modular experience, as is the uniquely human capacity for metaphor, mimesis, and symbolism. Winkelman sees such capacities as central to the role of the shaman. There is much to be said for this last observation. Jerome Rothenberg, poet and pioneer of ethnopoetics, calls the shaman the protopoet. Poet Gary Snyder says that the shaman gives song to dreams, “speaks for wild animals, the spirits of plants, the spirits of mountains, of watersheds. He or she sings for them. They sing through him.” For these poets, the shaman is the healer who sings — the creator of metaphor, the shaper of symbols. Sidky doesn’t buy it. His critique has two prongs, both directed against Winkelman’s historical thesis. First, Sidky questions the assumption that shamanism — at least in any form recognizably similar to contemporary indigenous practice — was in fact a paleolithic phenomenon. This point has merit. As I have written before, historical materials on shamanism date back only as far as the sixteenth century. By the time the first European travelers brought home descriptions of Siberian shamanism, it had already been influenced by centuries of contact with Buddhism, Islam, and Russian Orthodox Christianity. We have no direct evidence of what any sort of indigenous spiritual practice might have been like before that time. Second, the question of what caused the sudden emergence of behaviorally modern humans about 40,000 years ago is a highly contentious one, and a wide variety of mechanisms have been proposed, including the introgression of Neanderthal alleles into the human genome. Sidky questions whether the hypothesized integrative mode of consciousness would have been advantageous in the sense Winkelman intends. Winkelman says that “altering consciousness provides a variety of adaptive advantages through development of a more objective perception of the external world.” Sidky quotes Charles Tart as saying that altered states of consciousness are, just like ordinary consciousness, “mixtures of pluses and minuses, insights and delusions, genuine creativity and misleading imagination.” What would be the benefit of such a state of consciousness to a paleolithic human? My first reaction to all this is that we seem to be theorizing far ahead of a sufficient factual basis. If cognition does work in a modular fashion, there is still little agreement about what those modules are, how many there may be, and how they might interact. There are numerous modular models of the mind, but their modules often do not correspond; one review of the literature came up with a total of fifty different modules that had been proposed in different studies. If there is little agreement about the modularity of the contemporary human brain, it is hard to see how we can reasonably discuss the modularity of paleolithic humans. And there are continuing conceptual difficulties. If there is a speech processing module, are there submodules for semantic coding, phonemic processing, pitch recognition? Is the semantic coding module for speech reception the same as one for speech production? How do all these modules and submodules interact? For these and other reasons, modular models are currently being challenged by alternative models that are increasingly holistic and nonlocalized. But my concern is deeper. Shamans are not states of consciousness. Shamans are people who have messy personal lives, an ambiguous social role, and the risky job of making sick people better. In fact, as I wrote here and here, I am not at all sure that there is such a thing as a discrete, unitary, contextless, disembodied shamanic state of consciousness at all. Perhaps what we should be talking about instead are the experiences of shamans in their global, postcolonial, historical, and ineluctably idiosyncratic cultural settings. In the same way, we cannot simply assume that sacred plants all function in the same way, or produce the same experience, especially under their ceremonial conditions of use. Indeed, I think it is pretty clear that the effects of the ayahuasca drink, the peyote cactus, and the teonanácatl mushroom are phenomenologically distinct. What happens to the shamanic state of consciousness then? Steve Beyer has doctorates in religious studies and in psychology. He has been a university professor, lawyer, wilderness guide, and peacemaker. He has studied both wilderness survival and the indigenous cultures of North and South America. He has studied sacred plant medicine with traditional herbalists in North America and with ayahuasqueros in the Upper Amazon, where he received coronación by banco ayahuasquero don Roberto Acho Jurama. 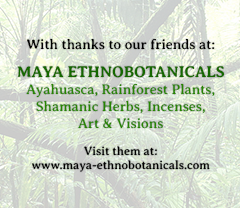 He has worked with ayahuasca and other sacred plants in the Amazon, peyote in ceremonies of the Native American Church, and huachuma in Peruvian mesa rituals. 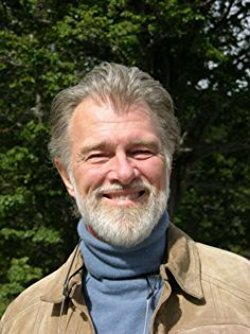 He has served as an editor of the Journal of Shamanic Practice, and is currently completing a book on shamanism, sorcery, and plant medicine in the Upper Amazon.